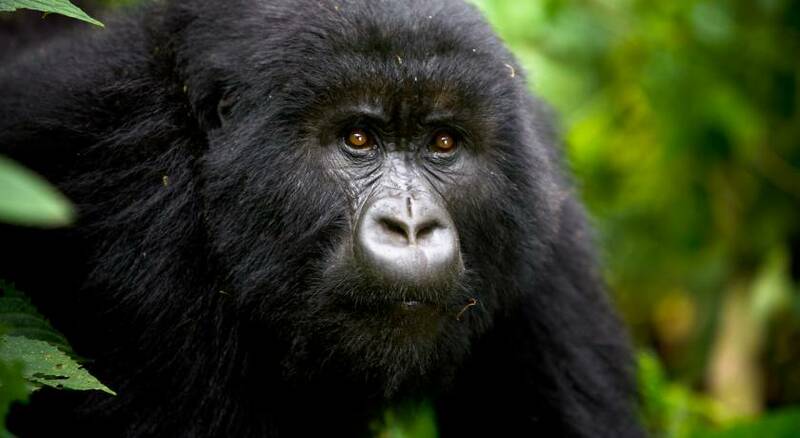 Use the form below to Inquire More or Reserve Rwanda Gorillas & Serengeti Safari. There’s something so deeply magical about staring into the eyes of a wild gorilla that can’t be summarized with words, it simply needs to be experienced first hand. Head into the rainforested mountains of Rwanda with a trekking guide in search of these incredible animals, and seek out your own unforgettable encounters. From there, head to Tanzania and the plains of the Serengeti for a unique game tracking safari adventure, where you’ll have plenty of opportunities to spot a number of the African Big Five game animals. The famed wildebeest migration moves through the Serengeti from from October to July/August as it rotates through the park – always a special thing to experience. Lastly, continue to Ngorongoro, a UNESCO-listed conservation area where you’ll round out your trip with nature walks and an excursion to the rim of the Ngorongoro Crater. NOTE: Gorilla permit fees are sold on a first come first served basis. Once your permits are booked we require a $750 per permit non refundable deposit. It will take 24-48 hours to secure the permit from the local authorities. The park authority/management reserves the right to cancel any permit without any refund or further reference. Stylish modern, comfortable and conveniently located in the up and coming suburb of Remera, Grand Legacy Hotel is your ultimate choice for your stay in Kigali. The hotel lies just 5 minutes drive away from Kigali international airport, and about a 15 minutes drive to the city center. 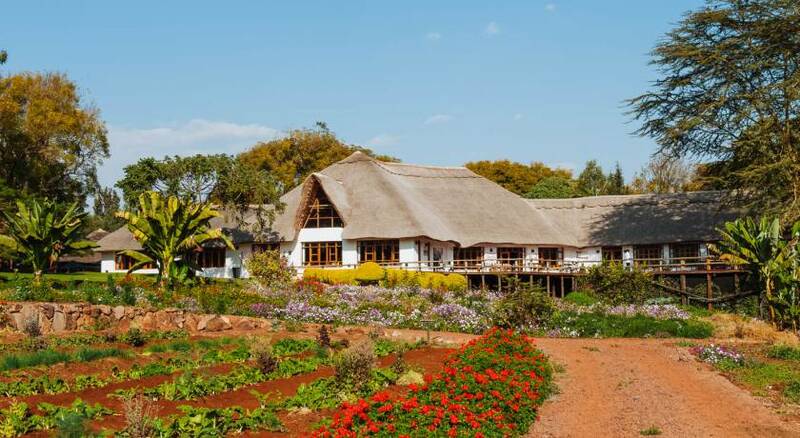 The hotel boasts a total of 43 en-suite rooms. Within the rest of the hotel, you can enjoy many other services and facilities designed at making your stay enjoyable. These include an outdoor pool, an on-site gym, fully equipped business centre, complimentary airport shuttle, laundry services, sauna, steam room and massage services and outstanding service. Enjoy your shared charter flight from Kigali to Serengeti. The flights are approximately three to six hours. An expert guide will meet you at the airstrip and take you on a game viewing drive before bringing you to your camp. 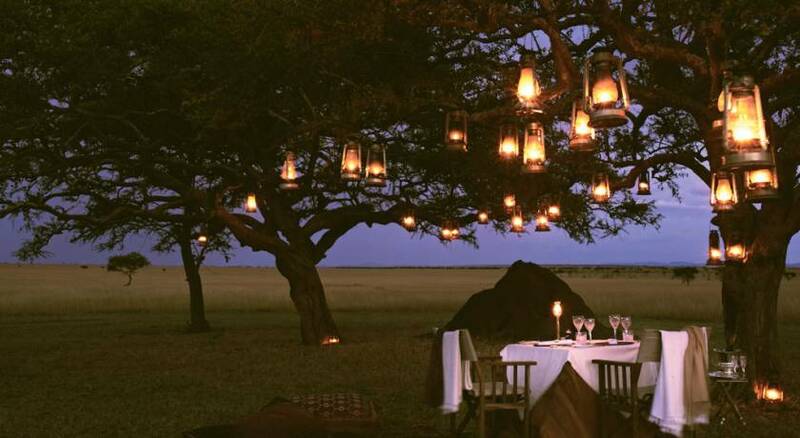 Enhance your safari adventure in the comfort and serenity of Mbugani Camps, located in the famed Serengeti National Park. 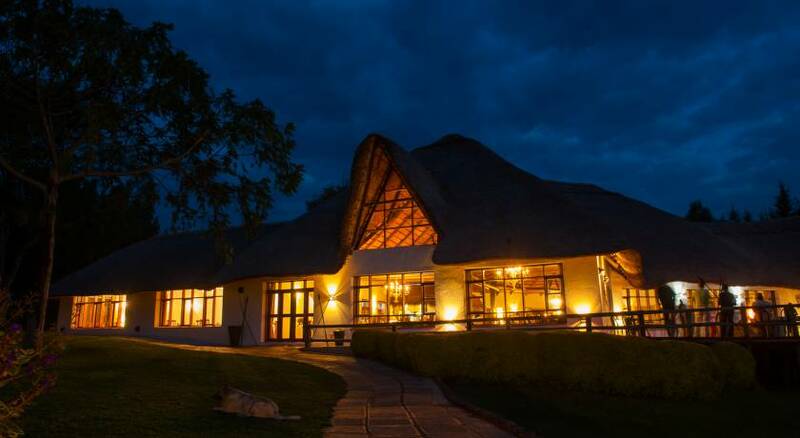 Whether you’ve experienced the wonder of the Serengeti before, or are embarking on the voyage of your dreams, Mbugani Camps provides you with the perfect balance of natural surroundings and the comforts of home. Enjoy the luxury of soft furnishings, private baths, front porches, freshly-made meals with local foods, drinks at sundown, and stories by the campfire after a day of sightseeing and exploring with local guides, or just spend the day relaxing at camp. 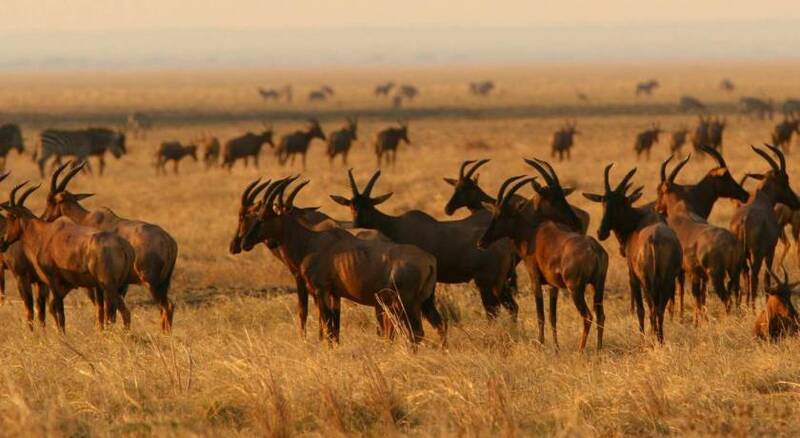 Spend the day taking in the spectacle of the famous wildebeest migration. This annual migration through the Serengeti and Masai Mara is one of the safari highlights of Africa. The wildebeest migration moves in a basic clockwise direction throughout the year in the Serengeti eco-system and moves north into the Masai Mara in Kenya from June/July through to Sep/October. Sightings cannot be guaranteed as the herds move according to the availability of food sources and migration movements can be erratic. The herds are accompanied by zebras and Thomson’s gazelles and are stealthily hunted by local predators such as leopards, lions and hyenas. 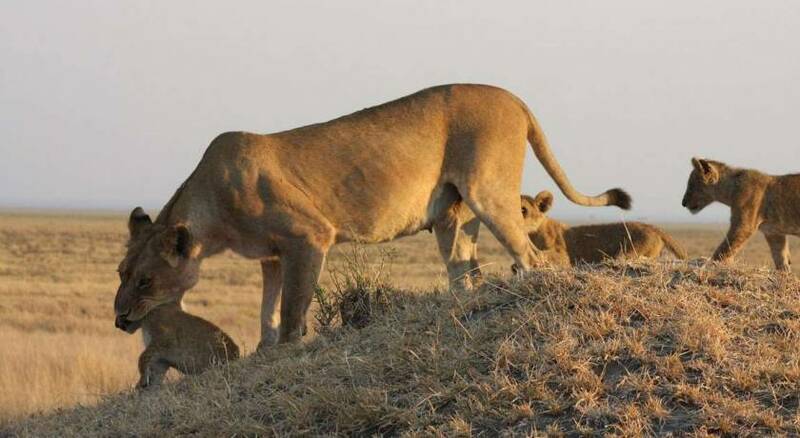 The Serengeti ecosystem is one of the oldest on earth. The essential features of climate, vegetation and fauna have barely changed in the past million years. Some patterns of life, death, adaptation and migration are as old as the hills themselves. Head out into this magnificent park to track animals and take in the breathtaking beauty of this unchanging landscape. On today’s afternoon game drive the choice is up to you: search for the Big 5 or expand your horizons to discover something different. Masai Mara not only has a rich mix of animals – it also has an incredible array of bird life with almost 450 different species. During your stay at Ngorongoro there are many optional activities available to you. 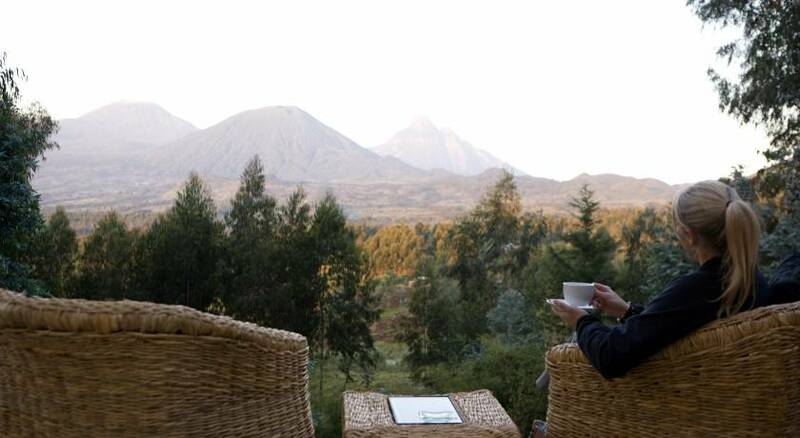 Depending on which lodge you’re staying at, activities may include: nature walks, cultural village visits, a hike to Endoro waterfalls, bike tours, coffee plantation tours and more. Some of these can be prebooked through your destination specialist while others can be booked directly with the lodge upon arrival. Your guide will drive you from the Ngorongoro Conservation area to Mt. Kilimanjaro. The drive will take an estimated 3 hours.